A clutch of North Carolina albums have been on my mind of late. Hiss Golden Messenger’s Haw is the third corner of a triangle that started with the solitary winter blues of 2010’s Bad Debt and more full-flowered folk-rock of Poor Moon in 2011. The three albums cover a similar surface area, a haunted little patch of earth that I’m often wary to get too close to. It’s funny: a friend of mine recently called Hiss Golden Messenger “accessible,” though it’s more like the old trope of something pleasant-sounding telling you terrible things. Haw starts out with the busted soul of “Red Rose Nantahala,” before detouring to the circuital ground plan of “Hat Of Rain,” a revisionist soundtrack of sorts to an imagined Druid ceremony. This is some of HGM tunesmith Mike Taylor’s deepest, darkest stuff. Be warned. 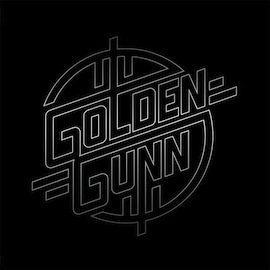 Though Cale surely looms large, the real patron saint of Golden Gunn is a hard-up trucker named Dickie, a character cooked up on a long car ride by Taylor, Gunn, and liner notes scribe, Brendan Greaves (of NC label Paradise of Bachelors, which released Haw and will put out Gunn’s forthcoming Time Off in June). Hitting the spot, thanks for the heads-up! So happy to see this small release highlighted here. It’s a damn nice record. Nice one! The cover by the way is a perfect J J Cale homage, see his own ‘Really’!